A1 Overseas International ships to Mongolia! Call 1-800-450-5319 or submit the form for information on auto transport and a FREE quote! In order to have a vehicle of any kind shipped into another country, it must meet the very precise restrictions that they have set. To find out exactly what is entailed in the auto import policy, call the country’s embassy. For instance, to ship the vehicle to Mongolia, call the Embassy of Mongolia. They will provide you with all that you need to know in regards to their import and export policy. The only way to ship a vehicle overseas is by hiring experienced persons to handle the job. A freight ship and certain characteristics are essential to even successfully carry out international auto shipping for an automobile. However, international auto transport services are cost effective and extremely helpful. They make sure that the process goes along as smoothly as possible by providing you with the most attentive and experienced customer service. 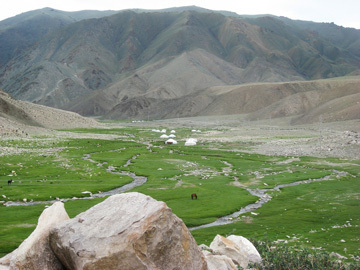 There is much to be done in order for the vehicle to be permitted into the borders of Mongolia. Their strict requirements will take time to comply with. Use the assistance of professionals to help see the process through. Fill out our form or call 1-800-450-5319 for more info and a FREE price quote on boat, motorcycle and car shipping!